When researching the surname Hull, it is easily confused with “Hill” and “Hall”. It is indeed a version of Hill, but also a diminutive of the name “Hugh”, from Old French. In late Victorian times the name was spread fairly evenly across the country, slightly predominant in Lancashire. John James, the father of William Charles, was born about 1855, in Rotherhithe. 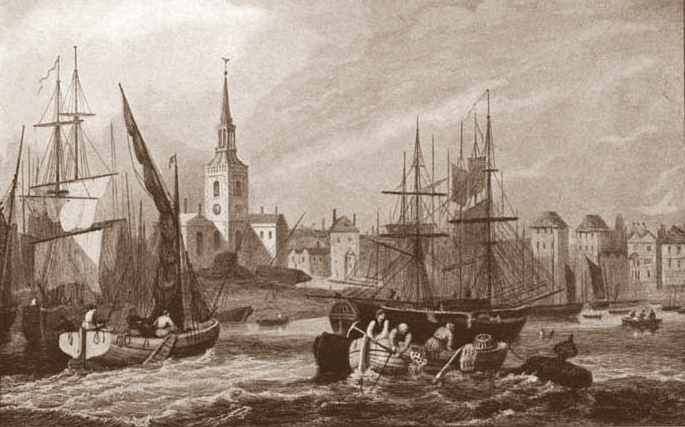 He was the son of James, a fisherman/mariner, born Rye, Sussex, and Esther Ann, nee Scales, born Deptford or Lewisham. 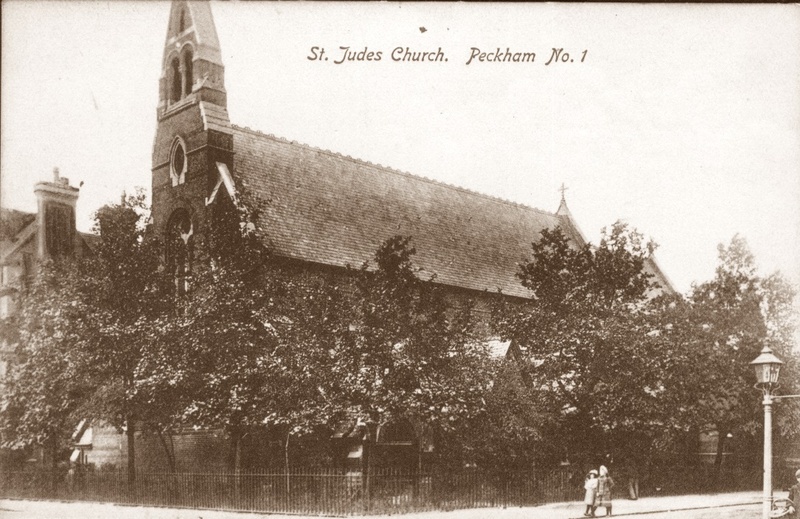 James and Esther married in 1845 in the church of St James Bermondsey and had several children, some of whom emigrated to Australia. 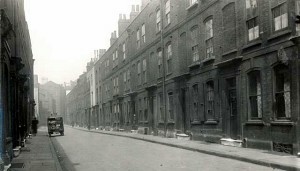 In 1861 the family are living in the charmingly named Cherry Garden Street, Bermondsey; the reality was probably less delightful since the road ran from the important and bustling thoroughfare of Jamaica Road down to the river and Cherry Gardens Pier. Esther died in 1865 and on 7th April 1866 , in St Nicholas Deptford, James married again: a widow Mary Ann Parker, nee Haines. 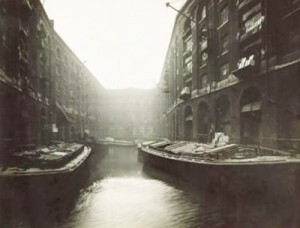 In 1871 the family is in Gillams Court, Rotherhithe, and James the father is a stevedore. John James (the son, William Charles’ father) is apparently a printer but, if he is the correct person, this does not tie up very well with his later occupations: by 1881 when he married William Charles’ mother Louisa,, he is a rice cleaner/dresser (removing the chaff and straw to clean up rice grains for human consumption). Mother: Louisa Hull, nee …..? William Charles’ mother was born about 1857 in Rotherhithe; her marriage has not been found, so we do not know her maiden name. After her husband died in 1898, she was still living in 27 Irwell Place, working as a charwoman until her children were old enough to earn. By 1911 she no longer needed to work, and was living with her grown-up children in 21 Princes Street, Rotherhithe, not far from Irwell Place. By the time of William Charles’ death in WW1, she was at 101 King’s Road, Peckham, home of her son James John and his wife Maud. It is not certain when or where Louisa died. Known siblings were George Frederick (1879), Louisa Mary Florence (1881), James John (1884) and Esther (1886), two others having already died by 1911. Both sisters married men working with ships and boats, and James John the brother became a postman. It is not possible to discover definitely the names/birth order of the ones who died, so each sibling has been given a number to reflect the order of those known to have survived infancy. The eldest child was born on 3rd October 1879 in Rotherhithe and baptised on 31st at the old parish church of St Mary’s, right by the water’s edge of the River Thames. The family were then living at 31 Clarence Street. George is with the family in the 1881 and 1891 censuses, but after that he disappears completely. In the 1911 census his mother says that two of her six children have died, so he may be one of them. The eldest daughter, possibly named after her grandmothers, was born in Bermondsey in October 1881 and baptised at Christchurch, Bermondsey the following 29th January when the family were living at 154 Drummond Street. In 1901, her father dead, the nineteen-year-old Louisa Mary Florence is working as a bottle washer. Three years later, on 8th January 1904, Louisa married Charles James Hull at All Saints Rotherhithe, the church where her youngest brother William Charles had been baptised. (If or how the bride and groom were related has not yet been discovered.) Both gave their address as Louisa’s family home of 27 Irwell Place. Charles James was a lighterman (lightermen worked on barges called lighters transferring cargo from ship to shore). Louisa’s siblings James John and Esther were witnesses. The second Hull son (confusingly named after his father but with the names reversed) was born in November 1884. He entered Dalmain Road School, Lewisham, in December 1891, his address being 10 Trident Road. He left the following 28th August 1892, presumably to go to another school. 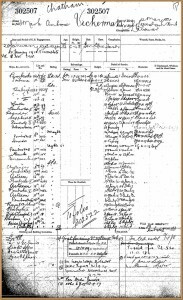 After the death of his father, in the 1901 census we find him as a telegraph messenger, living with his mother and siblings. Ten years later, he is still at home, still single, but working as a postman. 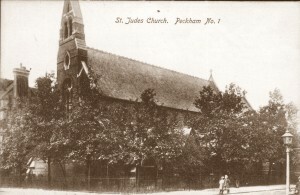 Three years later, on Boxing Day, 1914 he married the 26-year-old Maud Isobel Gillam at St Jude’s Peckham. Maud had been born in Bermondsey, and was a laundress in 1911. James John and Maud gave the same address: 101 Kings Road, Peckham, and a witness was one William C. Hull ! We can speculate that, because Benjamin Barnes of the Ranmore War Memorial also lived in Peckham, this area may be the link between Charles and Ben who both ended up in service at Denbies. There are no obvious references to James John Hull serving in WW1, although he was of an age to go. He died in 1952, while living at Mitcheldever Road, Lee S E 12 (Lewisham). Maud died many years later, in Lewisham in 1977. The Hulls’ second daughter was named for her paternal grandmother and baptised Hester (sic) Ann on 19th October 1886 at St Katherine’s Rotherhithe. In 1901 she is at home, described as a tent worker. Early in 1910 she married Mark Ambrose Vickerman in St Olave’s registration district. A year later she is living with her mother at 21 Princes Street, Rotherhithe with her 6-months-old daughter while her husband was at sea. 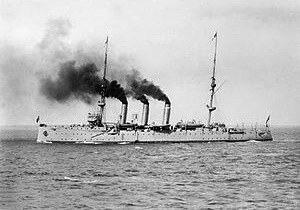 The same census shows Mark Ambrose Vickerman aged 26, as a Leading Stoker on HMS Encounter, a second class cruiser usually stationed in Australia but in the Tonga Islands on census night. Mark had been born in 1884 in Lewisham, and was in the Navy from 20th January 1903 to 13th February 1919, including World War 1. Mark and Esther Vickerman had several children. After he left the Navy, Mark Ambrose set up a beer-retailing businss in Conroy Street, Kennington, and he and Esther were still there in 1936 with their then unmarried daughter. Esther Hull died in 1962 in Kent, Mark Ambrose in 1966. 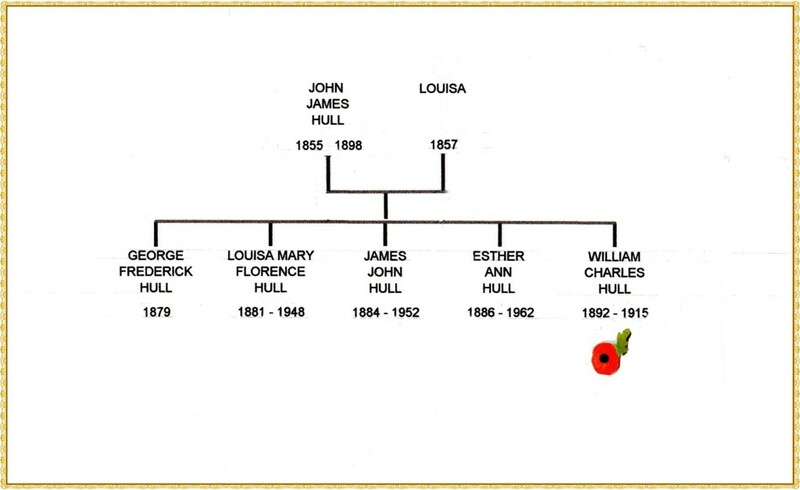 This is where (William) Charles Hull of the War Memorial fits in the family order. He was born 7th November 1892, baptised 30th November at All Saints Rotherhithe, and died in 1915. See his page for more details of his life and death. This is a composite list of the sources consulted for all members of William Charles Hull’s family, but details for the individual family members are available if required. Virtually all of the sources mentioned can be viewed online via Ancestry, Find My Past and Free BMD.